I want to tell you all about a really great series of interviews on the Twenty Four Hour Zine blog. It's called Live Fast, Die Old! Conversations with Zinesters of a Certain Age. 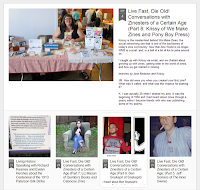 Long time zine maker Josh Medsker interviews zine makers like Ben Snakepit, Joe Biel, Ken Bausert and many others about being over a certain age and still making zines. Josh and I recently had a conversation for this series. 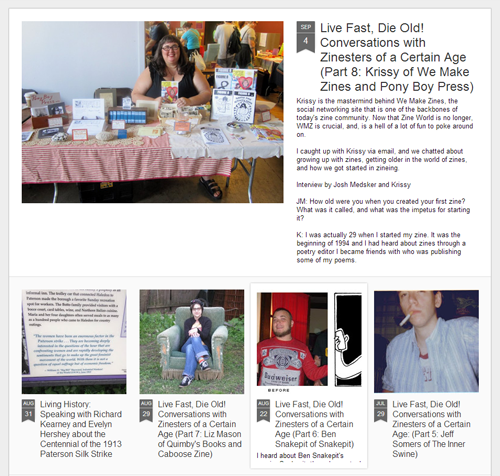 You can see all of the conversations, including mine at the Twenty Four Hours Zine blog. I have a special re-release all color issue of my zine Imaginary Life 3#. 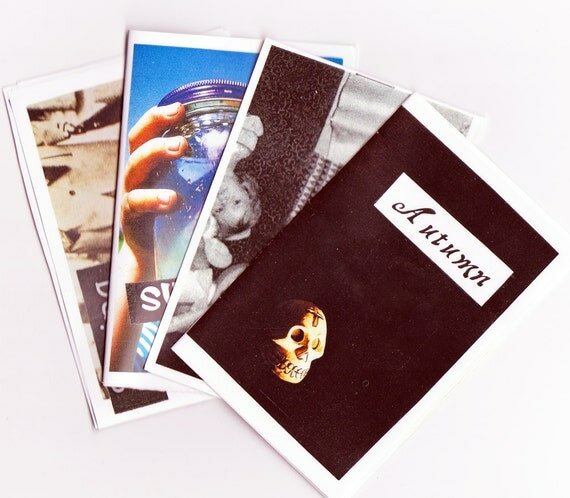 Imaginary Life #3 is 4 little zines - one for each season. It came out in 2003 and I always thought it was so pretty it seemed like a shame that people couldn't see it in color. So, for the ten year anniversary I printed up a very small amount of them in color. Imaginary Life#3 is all about my life over ten years ago. The struggles and deep thoughts of a single 30 something gal who had recently moved from California to Portland. IL#3 is in the Etsy shop now. Are you one of those people who misses the written letter? Were you a zine kid in the 90's and still pine for the days when people wrote back and forth and ordered zines through the mail? I was never one of those kids, but I do miss the written letter and I like the general aesthetic of writing a letter - the feel of the pen in your hand, the fast scratch of the pen to paper when your writing is trying to keep up with you head, the times of pondering and thinking as the page waits for your new thought. If what you need is a kick in the pants to get back to writing through the mail, then the Radical Uprises's Letter Writing Bootcamp and Paper Doll Army Project is for you. You order ration packs through the mail, you have missions and you get badges when you complete them. It's one of the brilliant, lovely and always uplifting projects from Jetta of the Radical Uprise. Check it out.